The gaming industry and consumers have always had two main goals for the medium of video games. The first and more easily achievable goal has always and forever been to make playing a game feel like you’re playing a movie. This goal was arguably achieved back on the PlayStation 3 when Naughty Dog released Uncharted 2: Among Thieves. Regardless of how you feel about the game itself third-person cover-based shooting, ledge-climbing, hidden collectibles nothing to date has felt more like fluidly playing through a summer blockbuster. A few years later, the developer showed that it could create a similar movie experience with other genres when The Last of Us felt like playing through an Oscar-nominated drama. All video games shouldn’t aim for this goal, but the goal has always been hanging in the air. The second and likely more desired goal of video games is just over the horizon: virtual reality. Though virtual reality headsets and peripherals have been around for ages ask anyone who has been to a fancy arcade, such as Disney Quest in Orlando they haven’t truly been integrated with consumer-grade products. When the Oculus Rift was funded on Kickstarter in September of 2012 and backers started receiving their development kits, people realized that, actually, these VR headsets aren’t particularly complicated and could now be integrated into consumer products. It’s been a year-and-a-half since the Rift was funded, and it’s still only a dev kit that’s a chore to get working with anything. This doesn’t mean the Rift is a poor device, it just means that a Kickstarter-backed indie developer doesn’t have the manpower or funding to quickly produce and finalize advanced hardware. 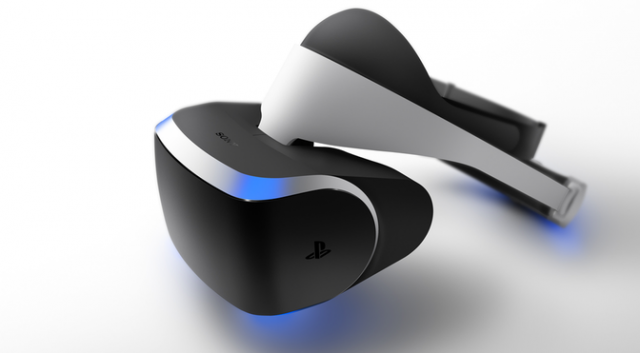 Sony caught onto the Rift’s popularity and announced its own virtual reality gaming headset, Project Morpheus. As our own Grant Brunner noted, Sony just made virtual reality mainstream. So far, we only know a little about the Morpheus. It has a head-mounted 1080p display with a 90-degree field of view, and works in conjunction with accelerometers, gyroscopes, and the PlayStation Camera to deliver a precise VR experience. Both the DualShock 4 and PS Move can be used as controllers; one of the biggest issues with the Rift is that you’re stuck facing the direction of your keyboard and mouse, so it’s tough to spin around and still have control of your game. The Morpheus also allows you to wear your glasses, unlike the current iteration of the Rift. We don’t yet know the price, time frame of release, or even how deep Sony plans to integrate it into the PS4. What we do know, though, is that Sony is the first major game company to head toward video game virtual reality, and that’s still not the only future the company is working toward. 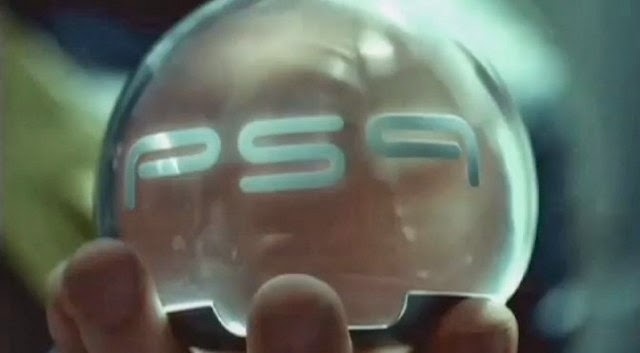 If PlayStation Now is still on track for its summer release, Sony is set to change the way we access games. Netflix already changed the way we accessed our movies and television, and PlayStation Now is aiming to do the same. It’ll begin with on demand, streaming PS3 games, which was surprising when announced, because many of us felt the beginning of game streaming would only be able to handle much older titles, not games that were brand new less than a year ago. Of course, there are reservations. We can’t judge the quality of PlayStation Now until it publicly releases, because even an open beta won’t be dealing with the largest audience possible. It’s also currently impossible to make any official judgment regarding the Morpheus considering all we can really assume is that it’ll be a Sony-style Oculus Rift that only works with the PS4. However, what we can say is that the very attempt at a combination of modern game streaming, virtual reality, and the most powerful games machine on the market, Sony is at the forefront of advancing video games to the goals gamers have dreamed about since the medium’s mainstream inception. We may not have a Matrix- or .hack-like level of immersion just yet, but virtual reality headsets and data streaming are the closest we’ll have come yet, and the first stepping stone toward that level of immersion. Perhaps that’s why Sony went with the name “Morpheus,” the character that shepherded Neo through virtual reality.